Dr. Cooley’s background in engineering has always encouraged him to ask why. His curiosity for why things occur drove him to discover muscle testing. He encourages his patients to ask why when they are thinking of their own conditions. Too often we are caught up with what we have and yet we rarely try to understand why we have it. In other words, don’t diagnose a name, diagnose a dysfunctional process. These are just examples of how Dr. Cooley tries to look at each patient complaint. 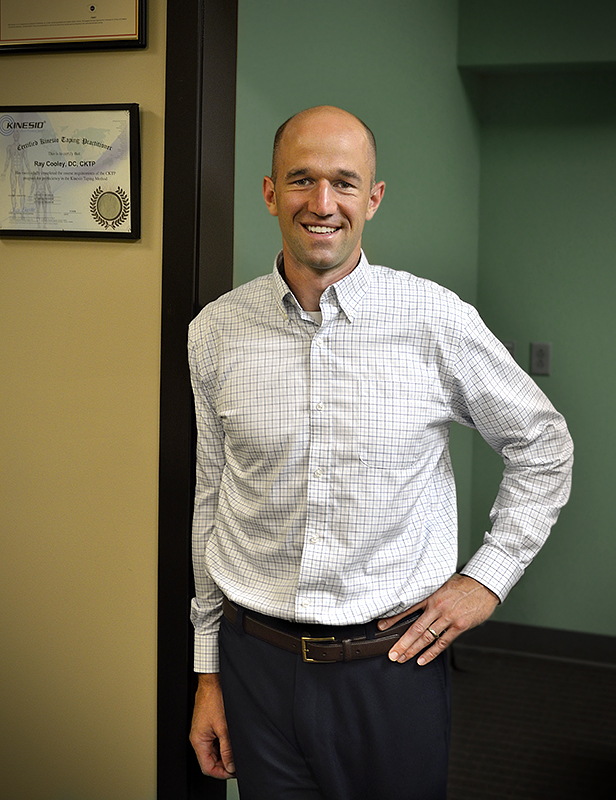 In order to answer these questions Dr. Cooley utilizes a variety of diagnostic procedures such as Patient History, lab work, range of motion and muscle testing. Similar to blood pressure and heart rate, muscle testing is nothing more than a window to the nervous system. Each individual’s nervous system function will create a pattern of muscle activity. This pattern will provide a road map for determining the cause of the patient’s complaint. It is the duty of the skilled practitioner to decipher the pattern and determine the best course of treatment. Muscle testing can be extremely powerful however it can be often abused. There are many people that claim to use muscle testing for patient care but very few perform muscle testing with thoroughness and detail of Dr. Cooley. The understanding of the complexity of the nervous system is what separates this treatment from others who perform muscle testing. I am a licensed Doctor of Chiropractic who specializes in treating individuals through the identification of neurological stressors. Once the stressor has been identified, I then try to eliminate that stressor by the most conservative means. I apply a holistic treatment that attempts to treat the person and not the condition or diagnosis. In order to accomplish the above statement I utilize a number of assessments (Patient History, Lab Work, etc.) and treatment techniques. However, my main diagnostic tool is Applied Kinesiology and the Manual Muscle Test. Applied Kinesiology allows me to look at each patient individually. I pride myself on spending time with each patient while at the same trying to find out “why” a specific problem exists. For each patient the “why” can be very different and it requires me to be well versed in a number of different topics. Within Applied Kinesiology there are a variety of subgroups. I still consider myself a musculo-skeletal specialist first. As a result my treatments are biased towards looking at structural problems first, but the beauty of AK is that it allows me to recognize whether a structural issue has a non-structural cause. I have a wife, Laura, and two daughters, Katelyn and Claire. We recently moved back to Buffalo, NY in order to be closer to our families. We love this town and we wanted our children to grow up here. We strive to maintain a healthy lifestyle that includes plenty of exercise and focused nutrition. I love staying active and when I am not with my family I spend my free time running, strength training, golfing, playing hockey or just about anything involving sports.